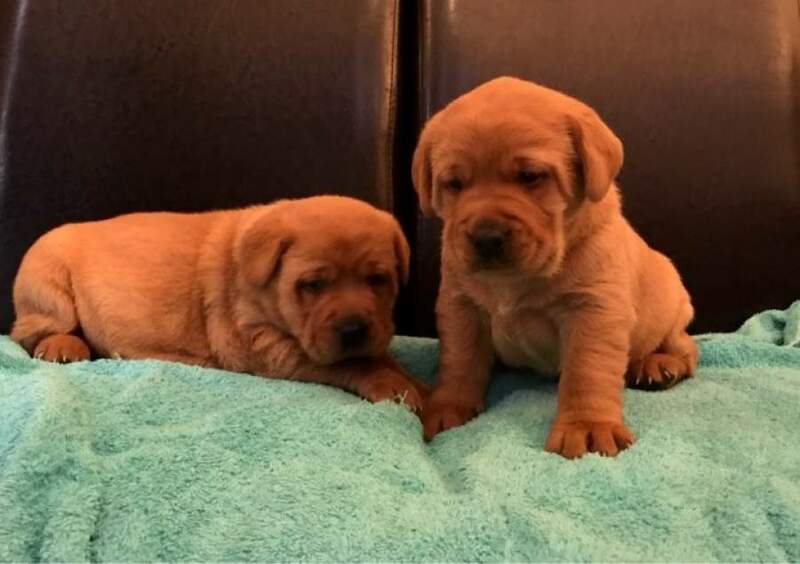 Currently 6 weeks old, ready for viewings. 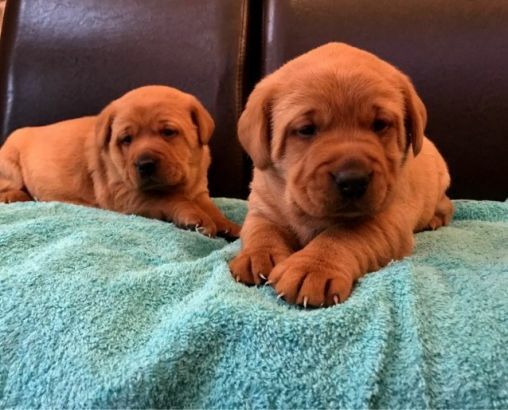 I have a stunning chunky litter of Fox Red Labrador Puppies, the red in the pups will also get a lot darker as they grow. Pictures do not do them justice! The puppies are eating and drinking well and being socialised around children daily. The puppies are not KC registered!